Education is at the core of Harvard Catalyst’s mission. We strongly believe that supporting the educational development of clinical and translational (C/T) researchers across Harvard University and beyond is integral to advancing medicine and human health. Harvard Catalyst offers numerous online and in-person courses, as well as training programs ranging from short programs providing an overview of C/T research to multi-year, advanced programs for senior fellows and faculty members. Since 2008, thousands of trainees, fellows and researchers have benefited from the depth and rigor of our courses and training programs. From early- to late-career development, our advanced training programs are designed to prepare clinicians for successful research careers. For students enrolled in the Harvard Integrated Life Sciences doctoral program, the Leder Human Biology & Translational Medicine program teaches the fundamentals of human biology and disease through a series of courses designed to enrich training in translational science. 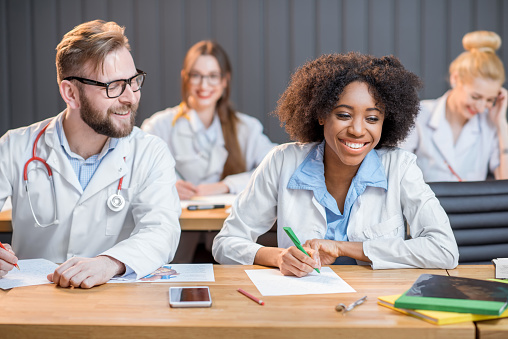 For MDs, DMDs, and PhDs, C/T Research Academy is two-year certificate program for meritorious candidates, with a focus on a didactic curriculum and a mentored research experience. Finally, for senior fellows and junior faculty, the KL2/Catalyst Medical Researcher Investigator Training supports awardees in pursuing a mentored research project in their area of expertise and helps prepare them to apply for an independent NIH award.